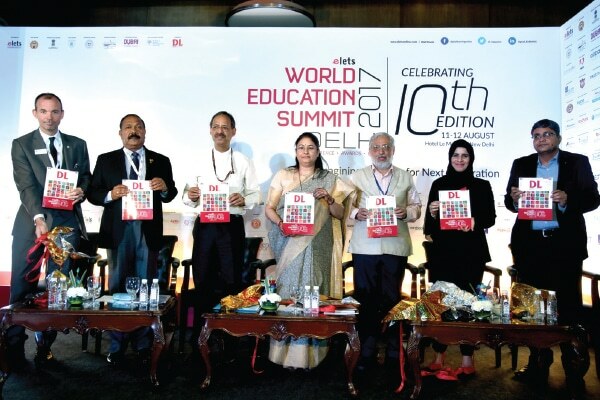 In an endeavour to enhance awareness and build knowledge-sharing platforms highlighting the growing significance of Information Communication Technology (ICT) in education, every year, Elets Technomedia Pvt Ltd organises the World Education Summit (WES), Elets News Network (ENN) explores its legacy. In a consistently expanding horizon of education and changing market scenarios, the approach and purpose of imparting education requires a fresh look at fixed intervals of time. 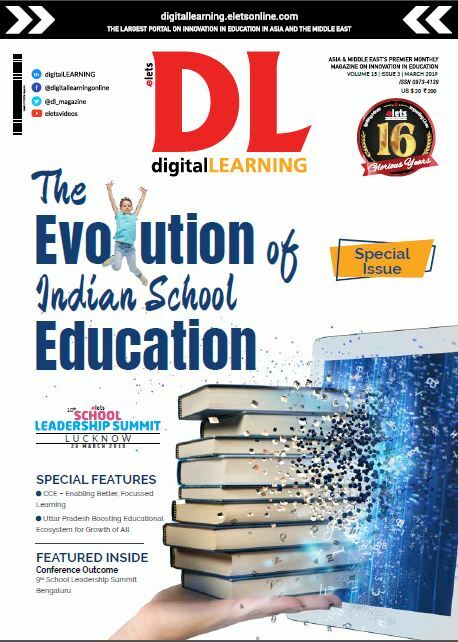 In this light, the World Education Summits (WES) organised by digitalLEARNING, an initiative of Elets Technomedia Pvt Ltd., have emerged as quintessential platforms of knowledge-exchange and highest level of engagement in India and different parts of the world over the years. Taking the meaning of imparting education to a new level, redefining the objectives and approaches to perceive meaning of literacy, knowledge, and skills in sync with the modern-day trends and making them relevant as per market demands, these summits today hold an unprecedented significance. Since education’s diversified horizon is narrated in terms of preschool, school, higher education, and skill & vocational training classification, the Information Communication Technology (ICT) is influencing all, playing a key role in reinventing teaching-learning processes. Even though the traditional chalk and talk methods have held their own significance at different stages of development, the need and reach of ICT cannot be underestimated by any breath of imagination in the present times. Its importance is further boosted most importantly when taking education to the last-mile has also turned a collective mission of the Government and the private sector. Every day, there are new innovations related to lecture delivery methodologies, curriculum and pedagogy. These innovations and ICT are supporting schools, colleges/universities, and skill & vocational training institutes to deliver the knowledge swiftly and precisely. In an endeavour to highlight and deliberate upon the innovations, initiatives and best practices being followed across the globe, the 11 editions of WES held in India and abroad mainly in Dubai (UAE), Bahrain (Bahrain), Denver (US), and New Delhi — hold a distinct significance. These have enabled underlining the best happening developments on the international education landscape. It is a matter of pride that since 2011, the WES has brought together top decision makers, edu-leaders, industry leaders, thought leaders and practitioners annually. Today, it exists as a premier international platform dedicated to innovation and creative approach in education where top decision-makers share insights with on-the-ground practitioners and collaborate to rethink concept of education. World Education Summit is the congregation of some of the leading thinkers in the education world from across the world. The latest edition of World Education Summit going to be organised in Delhi will inspire one and all, making them understand the challenges and opportunities of the rapidly evolving education world through a new prism. Over 350 inspirational speakers from india and abroad are invited to deliberate on various topics and discuss various challenges during the summit. 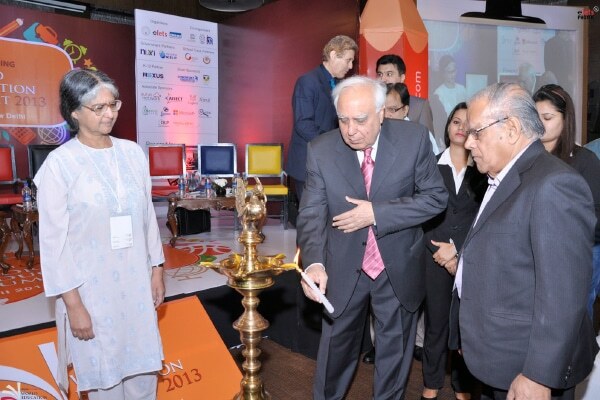 Ed-startups, edu-tech companies and edu-corporate will showcase their products and services. The exhibition at the summit showcases unique yet effective teaching methodologies, networking and product interactions among different sections of the education landscape. Over 70 exhibitors are like to showcase latest and the best practices in education landscape during the 12th edition of the summit. The 12th World Education Summit Delhi 2018 aims to recognise, highlight, honour and encourage leading models/projects/ processes of excellence and sustainable innovations in preschool, school, higher education, skill & vocational training, corporate, and Government sector. The awards will also see entrepreneurs in the education space getting recognised. 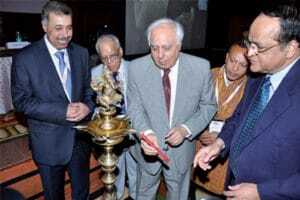 The summit has, in its past too, brought to fore unique initiatives and projects that have caused a paradigm shift in the education sphere within. Thought Leaders from across the globe have been part of Elets initiatives since last decade. Be it India, Asia or Middle East, Africa or Europe, policymakers have attended WES and shared their vision to create a developed knowledge based society. 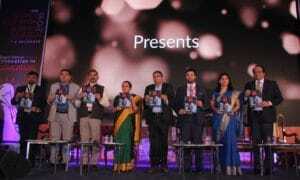 Be it preschool, school, higher or skill & vocational education, global thought leaders from these verticals have enriched Elets conferences with their presence as well as opened up new horizons for the visionaries. 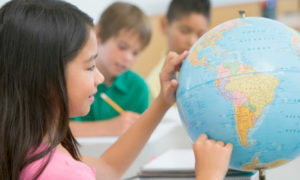 World Education Summit 2011 created history by attracting representations from over 50 countries. Thought leaders and policymakers from countries of Middle East, Africa, Europe along with India congregated together to ideate, deliberate and discuss on new technological interventions for over all development of education world over. 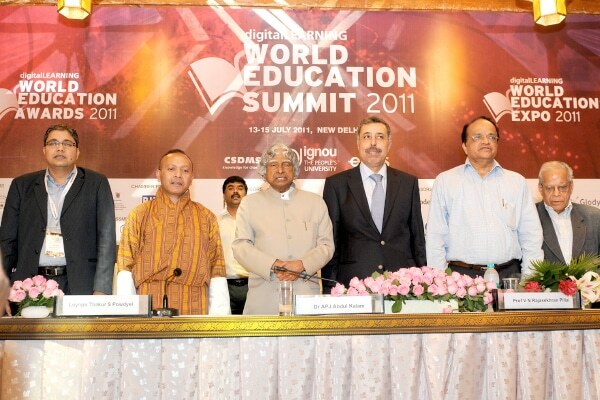 Elets World Education Summit 2012 created a knowledge sharing platform to discuss various aspects of ICT for education ranging from School Education to Higher Education and Technical Education. Global Leaders like Minister of Education from Mauritius and other countries participated in the premier conference on education. Harmonising Global Efforts: Strategies for steering the education sector – Keeping this theme as focal point of discussion, WES 2013 witnessed congregation of thought leaders under one roof to discuss various issues related to education. Member of Parliament, France and key policy makers from Indian Government shared their views for creating an effective education ecosystem. 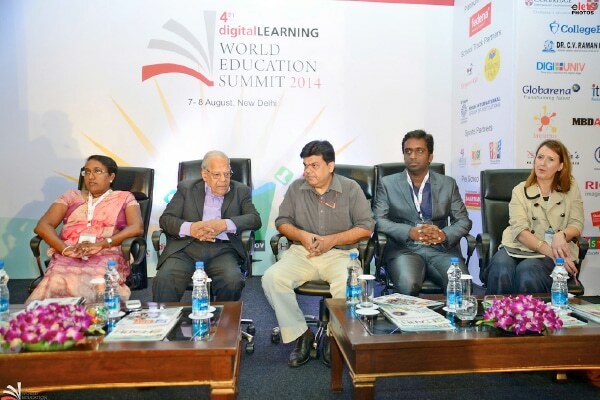 The World Education Summit 2014 was more than a conference. It built a strong community around it and provided various business and networking opportunities for education leaders and industry leaders. The dynamics of education sector was then changing rapidly world over and WES 2014 provided an opportunity to all the stakeholders to come together and deliberate, discuss and explore the horizon. From Canada to Australia- Global leaders from the world of education came together to deliberate upon different aspects of school and higher education and skill development in WES 2015. With the presence of ministers and key policymakers from India sharing their vision on education for all, the summit also created unique platform of knowledge sharing amongst the policy makers, eduleaders and industry leaders. 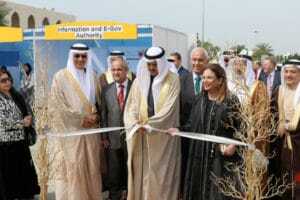 The sixth WES was organised in Dubai in collaboration with Knowledge and Human Development Authority (KHDA), Dubai. It witnessed presence of 100 schools and colleges from Middle East and North Africa (MENA) region. World education awards over the years have seen top innovations from education sector in private and public space get highlighted and recognised at this global platform. The seventh WES was organised in New Delhi in collaboration with NSDC, and witnessed presence of 200 Schools and 130 Universities from India. World Education Awards over the years have seen top innovations from education sector in private and public sector. These innovations were highlighted and recognised at this global platform. From Dubai to Bahrain, the World Education Summit organised on 8-9 March, was more than a conference. It has a strong community around it and provided various business and networking opportunities for education leaders and industry leaders. The World Education Summit 2017 Delhi created another knowledge sharing platform to discuss various aspects of ICT for education ranging from School Education to Higher Education and Technical Education. Global Leaders like Minister of Education from Dubai, Sri Lanka and various dignitaries from other countries participated in the premier conference on education held in the capital. A galaxy of edu-leaders from different parts of the world recently joined Dubai’s top-notch education experts and practitioners to deliberate upon the latest innovations, practices, strategies and challenges of the educational landscape of Dubai. The occasion was 11th elets World Education Summit (WES) 2017, Dubai, which witnessed an impressive congregationof key decision-makers including education ministers, top government officials, college/university directors and vicechancellors, school owners and principals.